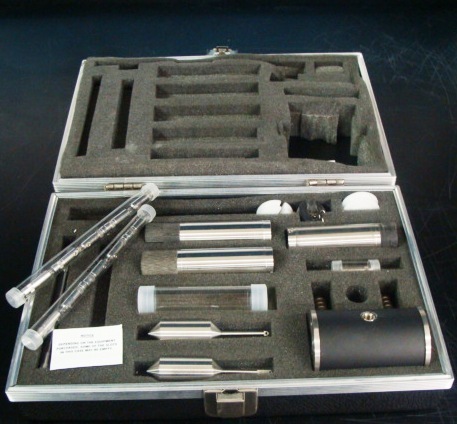 The AD4012MNT Dino-Lite handheld microscope is a composite (AV/Video RCA output) model with an aluminum alloy shell and interchangeable nozzle features. This microscope comes with both a standard open faced nozzle as well as a sealed transparent cap nozzle designed to protect the lens and built in LED lights from dust, debris and moisture common to certain work environments. The removable nozzle feature also provides the user the option of increasing working distance when using the digital microscope without any nozzle installed. This model connects directly to a television via the RCA/Component cables.